That number is for a patent in China. It is a format used in China for granted patents. In most western databases a differently formatted number starting with CN is used. 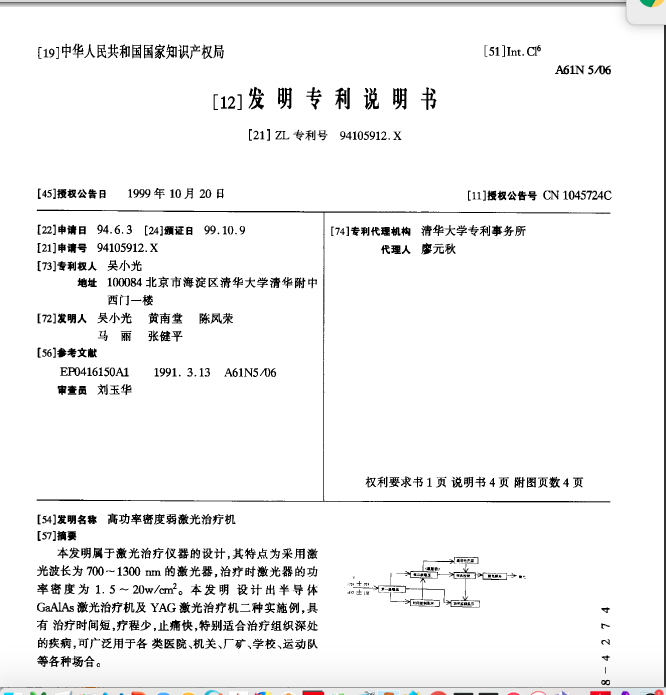 I found the patent here Under its "CN" number it is CN1045724C. Not the answer you're looking for? Browse other questions tagged laser or ask your own question.